As the premier supplier of specialty food products throughout the Western United States, Borges USA Foodservice is committed to providing superior quality, unparalleled customer service and unbeatable value. We have earned a widespread reputation for reliability throughout the nation’s foodservice and bar supply industries, enabling us to build uniquely strong relationships with our customers – relationships based on mutual respect, responsive service and timely communications. 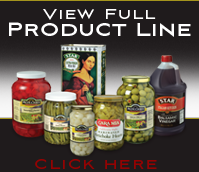 Through our well-known brands: Pacific Choice, STAR, Cara Mia and Giurlani – we provide a full, focused product line in such key categories as olive oil, olives, vinegar, peppers, maraschino cherries and other specialty foods. All packed to our exacting specifications. All to ensure maximum value for our customers. As a Borges USA Foodservice customer, your satisfaction is our highest priority. You can rely on us to search the globe for top quality products, and you can trust our experience and expertise in all aspects of specialty food sourcing. At Borges USA Foodservice, we work hard to earn that trust in every product, every day.